The University of Florida will be holding a focus group at the CIL next week on October 8th! 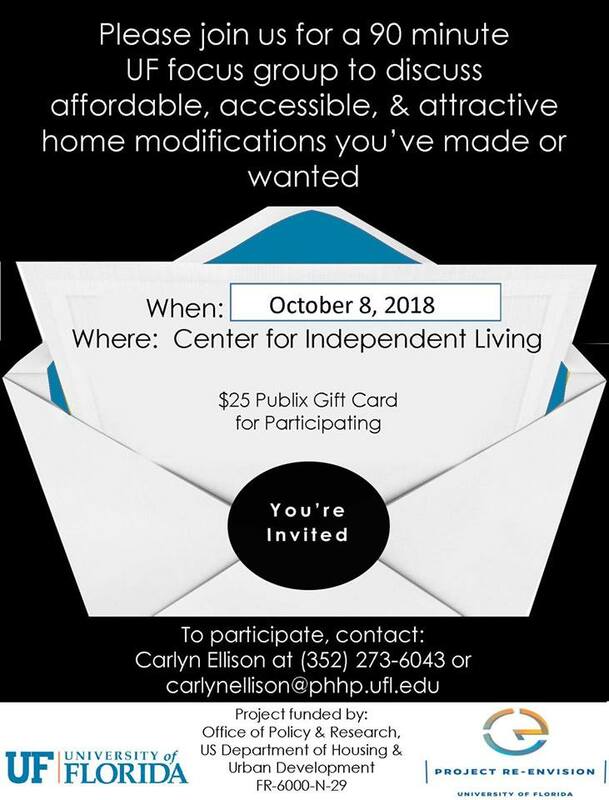 Through this focus group, they will be leading a discussion about affordable and accessible home modifications, and everyone who participates will receive a $25 Publix gift card. Please see the attached flyer for contact information.